Venezuelan President Nicolas Maduro accuses the United States of trying to orchestrate a coup against him, and that allegation has resonance among many in a region where Washington has a long history of interventions—military and otherwise. Ever since the early 19th century, the United States has involved itself in the daily affairs of nations across Latin America, often on behalf of North American capitalist interests or to support right-leaning forces against left-wing and popular democratic leaders. In recent years, the U.S. has been accused of granting at least tacit backing to coups in Venezuela in 2002 and Honduras in 2009. The Trump administration’s leading role in recognizing Juan Guaidó as the “interim president” of Venezuela returns the U.S. once more to an assertive role in Latin American countries’ internal affairs. 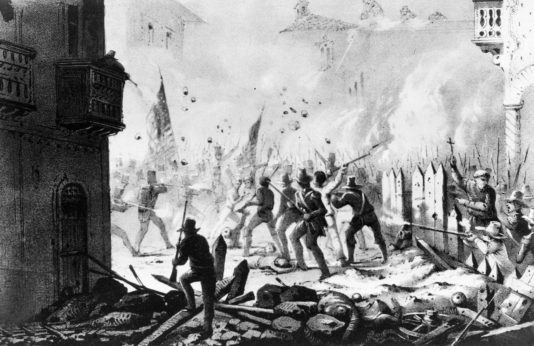 1846: The United States invades Mexico and captures Mexico City in 1847. A forced peace treaty the following year gives the U.S. more than half of Mexico’s territory—what is now most of the western United States. 1903: After the Spanish-American War, Cuba and the U.S. sign a “treaty” allowing near-total U.S. control of Cuban affairs. 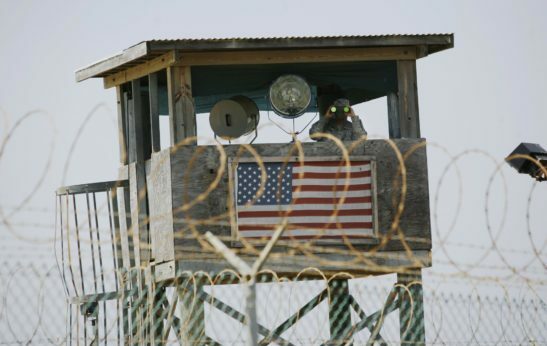 U.S. establishes a naval base at Guantanamo Bay. U.S. Marines repeatedly intervene in Central America and the Caribbean throughout the first quarter of the 20th century, often to protect U.S. business interests. 1961: The U.S.-backed Bay of Pigs invasion fails to overthrow Cuban leader Fidel Castro but Washington continues to launch attempts to assassinate Castro and dislodge his government for decades. 1964: Leftist President Joao Goulart of Brazil is overthrown in a U.S.-backed coup that installs a military dictatorship lasting until the 1980s. 1973: A U.S.-supported military coup overthrows the democratically-elected president of Chile, Salvador Allende. He is replaced by General Augusto Pinochet, who imposes a brutal military regime and embarks on a U.S.-guided program of extreme economic privatization and de-regulation. It is later seen as the laboratory of what became known as neoliberalism. 1970s: Argentina, Chile, and allied South American nations launch a brutal campaign of repression and assassination aimed at perceived leftist threats, known as Operation Condor, often with U.S. support. 1983: U.S. forces invade the Caribbean island of Grenada after accusing the government of allying itself with Cuba. 1989: U.S. invades Panama to oust strongman (and rogue CIA agent) Manuel Noriega. 1994: A U.S.-led invasion of Haiti is launched to remove the government installed by a 1991 coup that had ousted President Jean-Bertrand Aristide. The invasion restores Aristide, who was later overthrown (again) by a U.S.-backed coup in 2004. 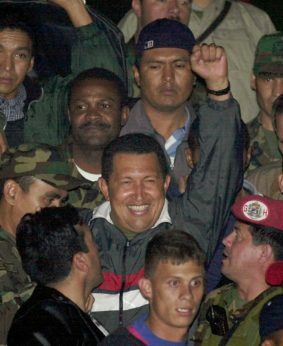 2002: Venezuelan President Hugo Chavez is ousted for two days in a U.S.-backed coup before retaking power following a massive outpouring of popular support. 2009: Honduran President Manuel Zelaya overthrown by the military in a U.S.-supported coup. This list was compiled by the Associated Press and added to by People’s World. First published in People’s World. This entry was posted on February 5, 2019 by Vox Populi in Social Justice, War and Peace and tagged Argentina, Before Venezuela: The long history of U.S. intervention in Latin America, Brazil, Chili, Guantánamo Bay, Guatamala, Haiti, Honduras, How Latin America Bucked The Trend Of Rising Inequality, Iran-Contra, Mexico, Nicolas Maduro, Panama, Poetry is Rebellion by Pablo Neruda, Venezuela.